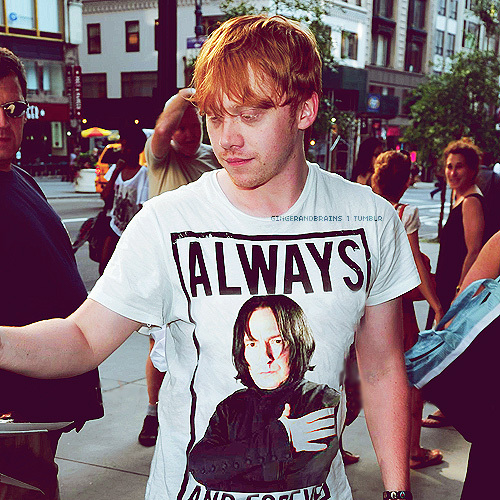 Rupert Grint - Another Snape's 팬. . Wallpaper and background images in the 세베루스 스네이프 club tagged: severus snape rupert grint fans of snape t-shirt. This 세베루스 스네이프 photo contains 유니폼, 티셔츠, 티 셔츠, jersey, t shirt, tee shirt, 저지, and t 셔츠.